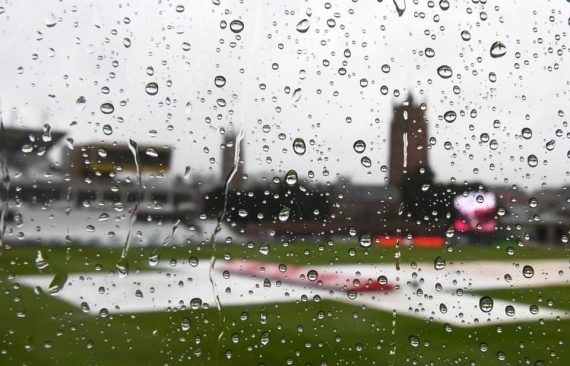 Rain washed out the opening day of the Specsavers County Championship match between Somerset and Kent at Taunton. Umpires Rob Bailey and Richard Illingworth ruled out any prospect of play at 1.45pm with the outfield saturated. Heavy overnight rain had left the groundstaff facing an uphill battle. Initially, an 11.30am inspection was planned, but by then more drizzle was falling. The rain soon became heavier leaving pools of water on several areas of the ground. Most spectators had headed for home long before the abandonment. Neither team had been announced, but experienced seamer Jack Brooks was expected to make his Somerset debut following his move from Yorkshire. The Kent squad included Australian opening batsman Matt Renshaw, due to face the county he represented with distinction in the early part of last season. This entry was posted	on Friday, April 5th, 2019 at 2:00 pm	and is filed under Cricket, Featured. You can follow any responses to this entry through the RSS 2.0 feed. Both comments and pings are currently closed.